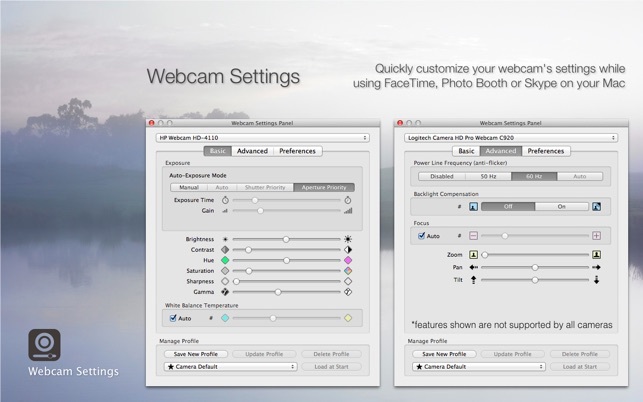 If you have a Macintosh Computer you already have the program Photo Booth and for a very small investment you can set up a very nice Photo Booth, this program Webcam Settings supplies everything you need to have basic controls of your WebCam. Forget about printing the pictures, Apple’s program Photo Booth makes it very easy to apply effects and email the photo you have just taken, in my opinion much nicer then printing some little strip of pictures. Everyone has a smart phone now days and they can forward it to anyone they want to. Well worth the small price that they charge. Anyone can be taught to use it in about 15 minutes. This would be a really nice add-on service for any videographer, photographer, or anyone just wanting to set up what has become a very popular Service for any special event.. And the nice thing you can email the pictures allowing you to charge a much lower fee then people who print the pictures. Title says it all really…I use a Microsoft LifeCam 1080p on OS X El Capitan. I put off buying this app for the longest time and today I just said screw it, I’m going to get it. I know it seems rather expensive for just a basic functioning app like this that sends USB commands and that’s pretty much it — however, it does work really well and also has the option to save profiles, which I really like. Even works with the built in Face Time camera. I’m giving it 4 stars because I believe this app should cost only 4.99 — however I realize that Apple takes a cut of every sale, so that’s probably why it’s priced like it is. 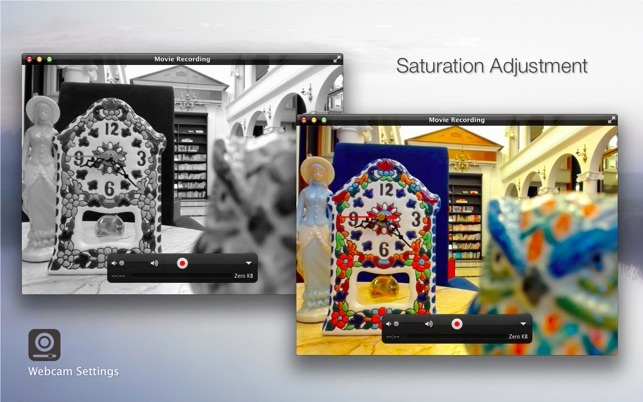 To the developer — thank you very much, my videos are looking so much better now. I do a lot of online drawing and painting demonstrations. Unfortunately, my webcam constantly focuses on my hands instead of my painting, or drastically changes the color balance every time a new color is added to the image. Not only is this frustrating, but it renders the demonstration useless in most cases. Even the firmware that came with my webcam does not do this (not on the Mac at least). This program remedies these problems like a champ! I can set the white balance, focus, and exposure to my liking and then lock it there. It took just a few seconds effort, and now my videos are so much better. Well worth the $8 in my opinion!! !